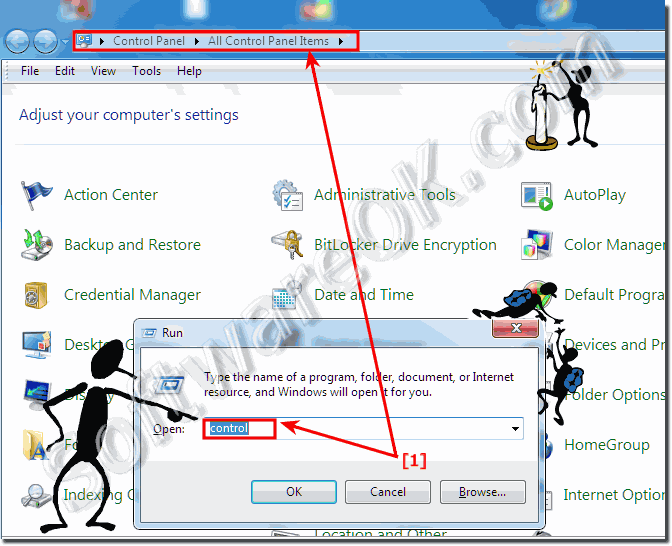 The solution is simple to RUN the Windows Control Panel, in all Windows Operating Systems! Please start the Windows Run via [Windows-Logo+R] keyboard shortcut and enter the command control and press Enter or OK button. (Image-1) RUN the Windows Control Panel all OS!